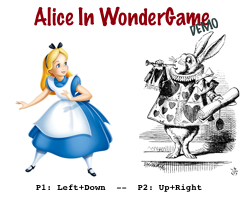 During the AC 2014 convention, they organize a Speed Coding party, this year the theme was around "Alice in Wonderland" with the contrain of a 2 player game. 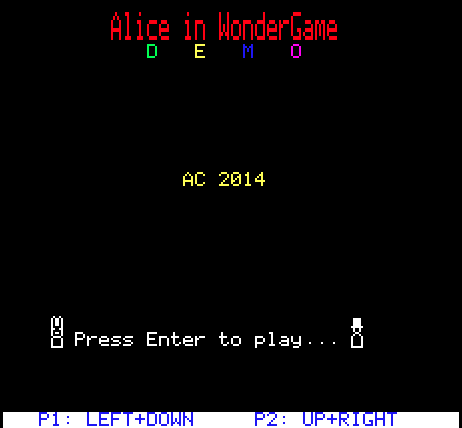 I was (not) really inspired by this year theme, and started saturday evening to draw some tiles for the oric trying to looks like the White rabbit and the mad Hater, after the night I finally had an Idea to make some sort of a Winter/Summer Game where Alice and her friends (and foe) play against each other in a competition. 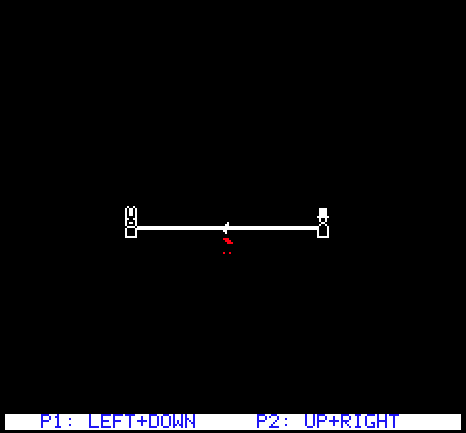 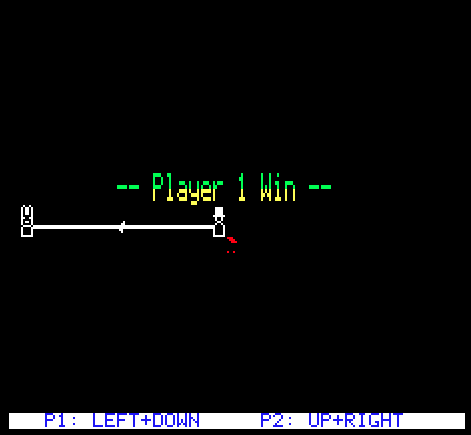 Starting so late, I wans't able to do a lot of things so I only had the time to make a "pull the rope" like minigame.